Fencing is a wonderful sport for all ages. Based in Monrovia California, Our fencing masters provide classes for all ages and all levels of experience, from beginners to advanced competitors. We strive to make the fencing experience enjoyable for all ages. Fencing is a fast and athletic sport, a far cry from the choreographed fights you see in the movies or on the stage. 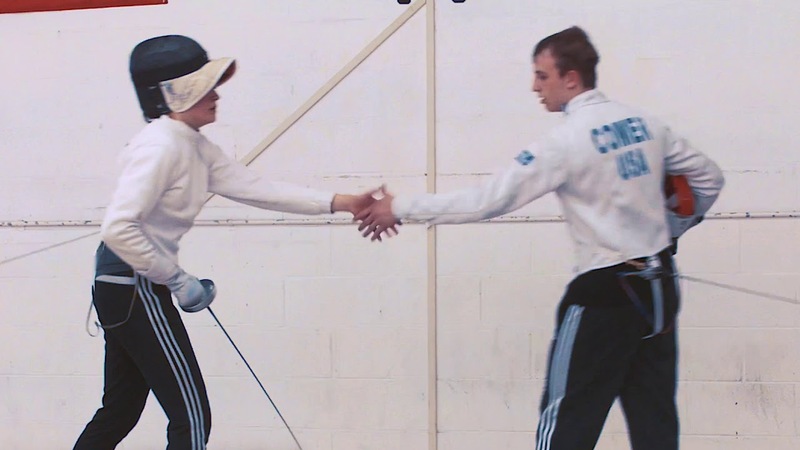 Instead of swinging from a chandelier or leaping from balconies, you will see two fencers performing an intense bout of wit, strength, and stamina. Book a Free Trial With Us! No equipment is needed but come in the studio with a long sleeve t-shirt and long pant. Fortune Fencing will provide a fencing sword and all of the fencing sport gear. To grow, educate and promote the Olympic sport of of fencing. We seek to achieve excellence by training individuals to succeed in reaching their competitive and athletic goals. 1Is fencing a safe sport? Fencing is a very safe sport with one of the lowest injury rates of any martial arts. This is because the protective gear and weapons are designed to protect the athlete from harm. 2What is the age limit to learn how to fence? Fencing is a wonderful sport for all ages. Beginning fencers should be at least six years old, but fencing isn't just a youth sport at Fortune Fencing there are adult classes for veteran fencers as well as open fencing for all age groups. 3What is proper clothing to wear to a class? New students should wear a t-shirt, long pants (like sweat pants) and lace up athletic shoes. All equipment and fencing swords will be provided for beginner students. There is a 24-hour cancellation policy for a private lesson. The full lesson fee will be charged without proper notification. A private lesson may be canceled by phone (626-471-3565) or email (fortunefencing1@gmail.com).